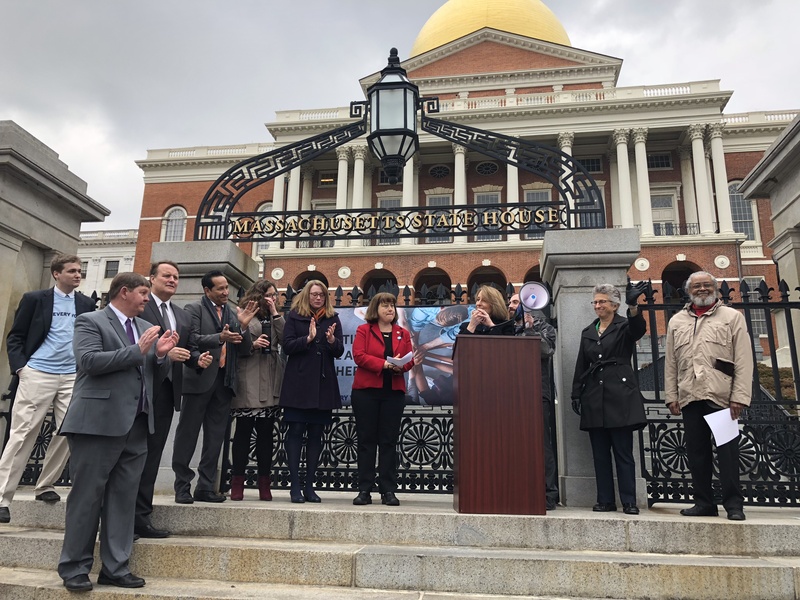 More than one hundred students, elected officials and advocates rallied with Every Voice Coalition in front of the state house Tuesday to support two bills that would change the way universities handle sexual assaults on campus. One of the bills would require colleges to survey students anonymously about their experiences with sexual assault and harassment on campus. Advocates hope colleges and universities will use the data collected from the surveys to understand the scope of sexual violence on their campuses and do something about it. Representative Lori Ehrlich, D-Marblehead sponsored the bill and said it would send an important message. 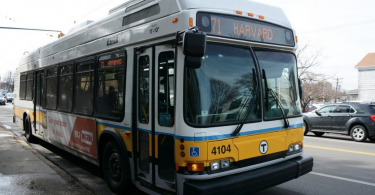 “The passage of both of the bills in turn will send a signal to prospective students around the world and their families that while you are here, in MA or in our world class college campuses, the state cares about your safety,” Ehrlich said. 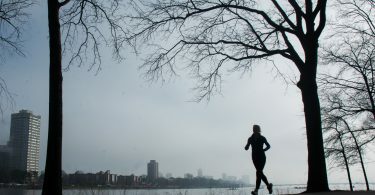 The other bill would strengthen Title IX protections on campus, including on- and off-campus resources and prevention training. Representative Tricia Farley Bouvier, D-Pittsfield, cosponsored the bill and said it would build a better culture of knowledge. “Every school, every year, all students and employees must be notified of their rights, the policies and the resources both on- and off-campus,” Bouvier said. Bouvier said it also requires universities and colleges to make sexual violence data publicly available on their websites. She called it a consumer issue. Standing at the podium, Hal Gaucher a transgender activist and illustrator for Art of Survival, a group dedicated to making art for survivors of trauma, said marginalized voices should be heard. Gaucher said students who identify as disabled are twice as likely to experience sexual assault, and nearly one in four transgender, gender non-conforming or non-binary students experience sexual assault after enrolling in higher education. Maureen Gallagher, the policy director for JaneDoe Inc., a statewide coalition of sexual assault and domestic violence programs, said her group has been working with legislators to push these bills through. Gallagher said rallies, student groups and organizations make a huge impact by forcing certain issues into public consciousness and have the potential to create change. In September of last year, Secretary of Education, Betsy DeVos, announced the department would rescind Obama-era guidelines on school sexual assault. “Frankly, under the Trump Administration and under Betsy DeVos as Secretary of Education what they have been doing to roll back the Title IX guidance and to really roll back the progress we have made has put this at the top of our priority list this session,” Gallagher said. Jay Gonzalez, former secretary of Administration and Finance for the commonwealth of Massachusetts who is now running for governor, briefly visited the rally to show his support. Residents of all demographics came to support students and the need for better sexual assault policies. Hilary Bacon Gabrieli, 57, a mother with college-age children from Boston, said updated statistics about the campus climate survey would provide valuable information to parents and students. Bryce Pepin, 22, a student at Tufts University who attended the rally with his friend, said it was powerful to see students standing up for other students. 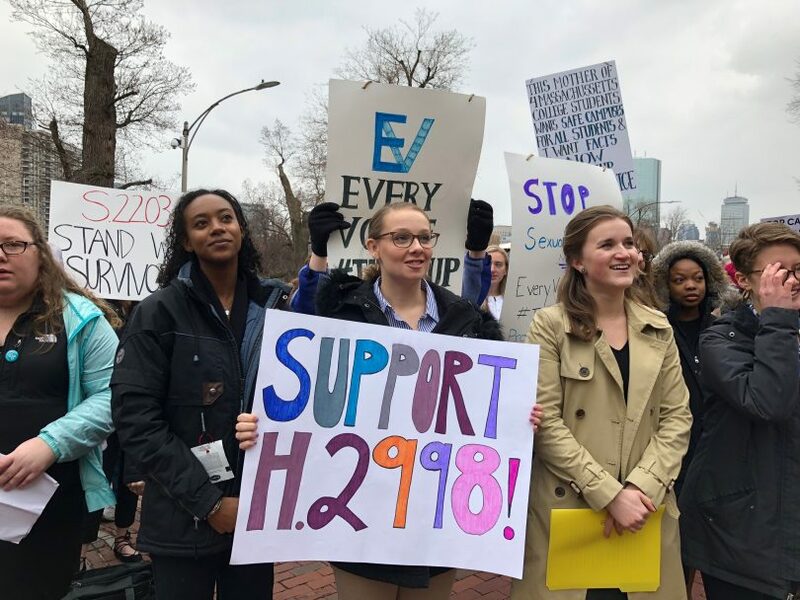 “I think it is important to see legislators showing that this is important and raising up voices of college students who might feel disenfranchised in this process,” Pepin said. Joseph Griffin, 32, a student at Springfield Technical Community College, said he heard about the rally through his school and came to support the cause because of his family members who have experienced sexual assault or harassment. “It is the best way to make sure you get your point out without being violent and for the young people to actually be heard,” Griffin said.